With Sam Bradford's season-ending ACL tear, the Rams are presumably in the market for a competent, experienced QB. Like, say, Mark Sanchez. Wait, who's running the Rams offense again? Brian Schottenheimer? But if Sanchez has anything to say about it, there's "no chance" he'd abandon his fresh start as a backup under coach Chip Kelly with the Philadelphia Eagles for a shot to rejoin Schottenheimer and play in St. Louis, a person with knowledge of Sanchez's thinking told USA TODAY Sports on Sunday. Schottenheimer was the offensive coordinator for the Jets through 2011, the season Mark Sanchez officially became a punchline. 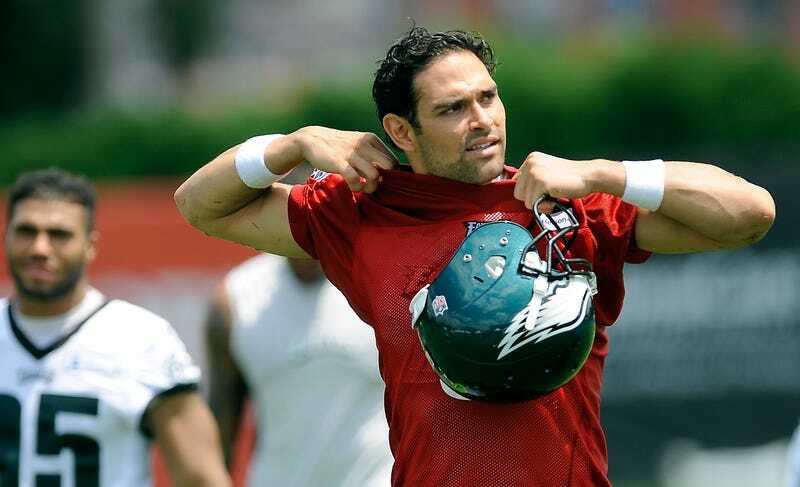 It's telling that Sanchez would rather be stuck as a backup in Philadelphia than start for Schottenheimer. The Rams appear to be content to go with Shaun Hill, whose best season came for the Amsterdam Admirals. Maybe they just don't want to seem too desperate as they chase clearly-available backups like Ryan Mallett or Kirk Cousins.